Every business, large or small, requires a plan to ensure that it is being effectively marketed to attract repeat customers, and encourage customer loyalty. With the right technology and tools, every retailer can become an expert marketer. We’ve put together a practical guide on how to be an effective marketer for your store. When you prepare your business marketing plan, you will want to make sure you spend some time thinking about who you’ll be targeting: Your customers! You can start this by profiling what your ‘typical’ customers look like. Include factors such as gender, age, whether they are fashion or price conscious, regular shoppers etc. By starting to look closely at your customers and their shopping habits, you can smartly examine the service your business delivers and ensure your marketing is accurately appealing to them. First things first, you want to decide exactly what your strategy will cover and what you want it to include. It’s about creating a plan that works for your business. Creating straightforward marketing guidelines and a monthly plan to market your business ensures your business’s marketing is effective, runs smoothly, isn’t forgotten, and ensures your outgoing messaging is consistent with your business. Needless to say, social media is an essential tool for marketing your business. From Instagram to Pinterest, marketers are embracing these tools to share their messaging with the world, and so should you! Your social media presence is an important part of your marketing plan. Create some guidelines and pre-prepared themes, e.g. Winter, Summer seasons, Halloween, Valentine's Day, date night, etc around your social media so your staff can update you Facebook and Instagram pages independently. You should also have some ideas for social media posts and images handy, so you constantly have content available when you need it. Building ongoing customer relationships and loyalty should be at the heart of everything your business does. 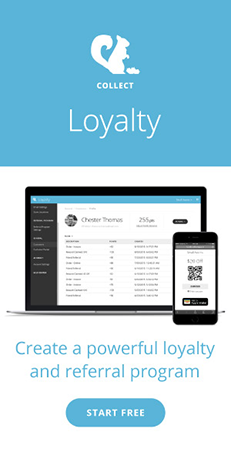 Make sure your business marketing plan includes how you want to use your loyalty program. Whether you want to shift particular stock at certain times of the year or encourage more foot traffic in-store, your loyalty program can help you to reach out to your customers and reward them for shopping. You can also monitor engagement to be sure you’re rewarding your customers in the most effective way possible. Once you have decided how you want to use your customer loyalty, you can plan out how you want to market it via your social channels too, you might send your customers an email reminder about your program, or update your Facebook to encourage them to sign up and refer their friends. Your email marketing is an essential part of your marketing strategy. Not only does email marketing afford the best return on investment, with tools such as MailChimp and Campaign Monitor it’s also simple to automate and schedule, allowing you to prepare your emails in advance! By getting an idea of how you want to market your business early, you can coincide your social media posts along with your email marketing and loyalty, ensuring you reach your customers in a variety of different ways. Using your loyalty program and email marketing are both effective ways of marketing to your customers, but by using a smart marketing tool such as Collect Offers you can also send out marketing promotions quick and easily via email. And even better, it has built-in Apple Wallet. With roughly 30% of US shoppers using mobile wallets to pay for goods and services, reaching out to your customers via mobile is an effective way of getting your business noticed. Take regular photos of your new stock so you can keep your website and social media updated with your products. Not only does it show your customers your stock, it also provides you with extra marketing content. Reward referrals! By rewarding customers who share your business with their friends you're giving them yet another reason to love your business, while encouraging new customers to shop. 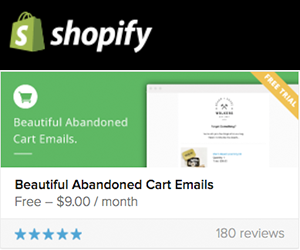 A tool like Collect Loyalty is perfect for this, with a built-in referral program. Make sure you make a note of how you’ll market your business in-store as well as online, whether it’s through themed window displays, in-store signage and decoration. Give your staff a copy of your marketing plan It helps them feel confident when posting or responding to questions via your social pages. By spending a small amount of time each month, or every couple of months you can prepare your retail business marketing easily and early. This ensures that your business’s messaging is consistent, allows you to reach out to customers effectively, and best utilize available technology.